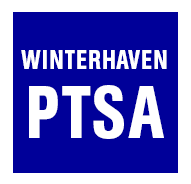 Winterhaven's first volunteer date at the PPS PTSA Clothing Closet is Thursday, September 22nd from 9:30 - 1:00 pm. If you are able to help on this day, it is always much appreciated. We are required to provide 5-6 parents, and this is always a really rewarding experience - for many kids, this is their only chance to get new clothes for the school year. There is such a great need and as a volunteer you can help families "shop" for clothes or sort through donations which ever you are most comfortable with. I realize that weekday mornings are tough for some but if you have any flexibility in your schedule please consider doing this. If you cannot commit to an entire shift you can also share it with someone else. **Please do not reply to this email but email Rebekah (rsatz@yahoo.com) or Kristin (kristinwdoherty@yahoo.com) if you can help. Again we need 5-6 volunteers Thursday, September 22nd from 9:30-1:00. The Clothing Closet is located at Marshall High School at 3905 SE 91st Ave, Portland, OR 97266.